Catherine Austin Fitts is a former Assistant Secretary of Housing , and Federal Housing Commissioner and has years experience in Washington DC, the “district of corruption” and knows how things work in the real world . So if you want to be awakened by someone with plenty of pedigree and who is very articulate on economics and most of the alternative subject matter , then check her out. Catherine also has some ideas about solutions , on what we can do to change the course of this disaster in the making. We need to get rid of the “Tapeworm” as she refers to the ruling class , the elites , and be the change and quit looking for anyone to save us. Some of her ideas are very simple practical things that many of us can do ourselves and may be doing already , like buying locally, banking locally with small local banks , quit feeding the tapeworm. And that’s why the apocalypse is a positive thing, as we begin to see through the veils of illusion , we can take the proper steps to make sure we are not supporting the very constructs that enslave us . There is no one more enslaved than the prisoner who thinks they are free. Check out the books below by Catherine Austin Fitts ! 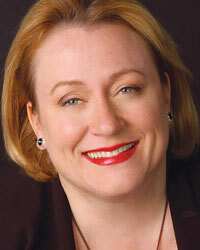 Check out this interview with Catherine Austin Fitts about the Looting of America. Her Catherine Austin Fitts talks about the economic collapse and the engineered boom bust cycles that the Powers that be love to use to manipulate the global markets to their advantage over and over again.